The Dnepr rocket is a converted ICBM used for launching satellites into orbit, operated by launch service provider ISC Kosmotras. The first launch, on April 21, 1999, successfully placed UoSAT-12, a 350 kg demonstration mini-satellite, into a 650 km circular Low Earth Orbit (LEO). It is based on the R-36MUTTH ICBM designed by the Yuzhnoe Design Bureau in Dnipropetrovsk, Ukraine. Its control system was developed and produced by the JSC “Khartron”, Kharkiv. The Dnepr is a three-stage rocket using storable hypergolic liquid propellants. 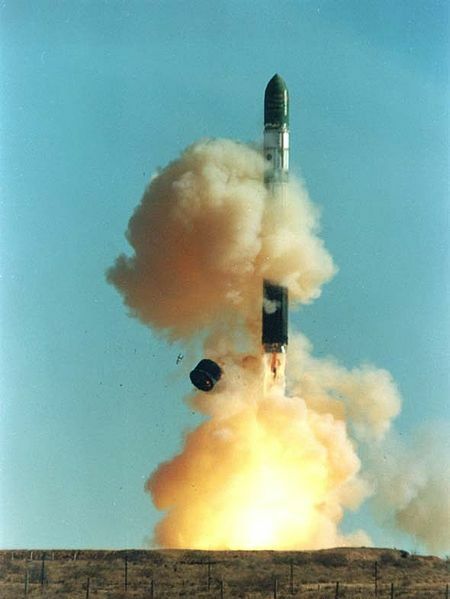 The launch vehicles used for satellite launches are withdrawn from service with the Russian Strategic Rocket Forces and stored for commercial use. A group of 150 ICBMs can be converted for use and are available until 2020. The Dnepr can be launched from Baikonur in Kazakhstan and a newly created Cosmodrome at the Dombarovsky launch base, near Yasny, in the Orenburg region of Russia.